Situated just a short drive from San Francisco, in a pastoral nook of West Marin triangulated by rolling agrarian hills, the Point Reyes National Seashore, and the heel of Tomales Bay, Chef-Proprietor Christian Caiazzo’s Osteria Stellina is a small-town restaurant with a national reputation for serving rustic delicious meals made strictly from the freshest organic ingredients available. Since opening our doors in 2008, our daily printed menu has been a reflection of the surrounding region’s ever-evolving seasonal supply of local produce, meats, cheeses, and seafood. Sourcing our ingredients within our close-knit and robust community of farmers, ranchers, and fisherman—many of whom we are proud to call regulars—we strive to both surprise and comfort with every plate that comes out of our kitchen. Our rotating list of local craft beers and wines is carefully curated and includes a mindful mix of unexpected gems, time-tested favorites, and tap offerings. Sean Thackery’s wines from nearby Bolinas and local Pey-Marin Reisling share the list with Northern Californian wines from farther afield, and some of Chef Caiazzo’s Italian favorites. Lagunitas Pilsner and Henhouse Saison from Petaluma are available on tap, as well as a variety of bottled brews. An accomplished veteran of many high-profile restaurants, including Postrio in San Francisco and Union Square Café in New York City, Chef Caiazzo cooked in professional kitchens throughout the country for more than twenty years before settling in the Bay Area and opening Osteria Stellina in 2008. After moving to the tiny town of Point Reyes Station to learn more about the burgeoning American artisan cheese movement, he became firmly enamored with the local culture and soon began to envision opening a restaurant where locals and visitors could gather elbow to elbow and enjoy the abundance of spectacular regional products in a gracious, inviting setting. He imagined an unpretentious menu of sophisticatedly clean dishes that highlighted the flavors of West Marin. Thus, Osteria Stellina, named after his daughter, was born. Located in Toby’s Feed Barn in Point Reyes Station, and serving the award-winning coffee of Four Barrel Roasters, the Coffee Bar has been offering specialty coffee and freshly baked pastries to the community since 2006. Open 6:30am to 5:00pm daily. Voted Best Grilled Cheese on the Planet by Sunset Magazine, Chef Christian Caizzo’s famed sandwich is made with local Brickmaiden Bread, Straus Creamery butter and Cowgirl Creamery cheese. GBD Grilled Cheese is available seasonally at the Point Reyes farmers market and year round for private events. 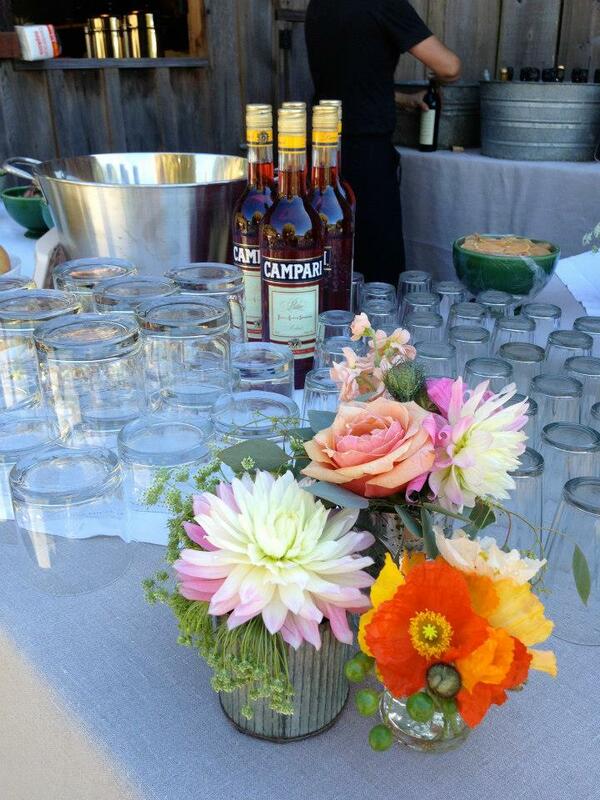 For more than a decade, Chef Caiazzo has been the most highly sought after caterer in West Marin, bringing his rustic “Point Reyes Italian” cooking to countless weddings, community events, and private parties. Opening Soon! Located alongside Chef Christian Caiazzo’s nationally acclaimed and locally beloved restaurant Osteria Stellina, comes a shop featuring a highly curated celebration of the rich offerings and passions of West Marin. Stellina Next Door is at once a taste of the area’s artisans and artists, and a small town "general store" brimming with both unique and practical goods and gifts that speak to the treasured pastimes and activities that have made Point Reyes the destination of millions of visitors every year.